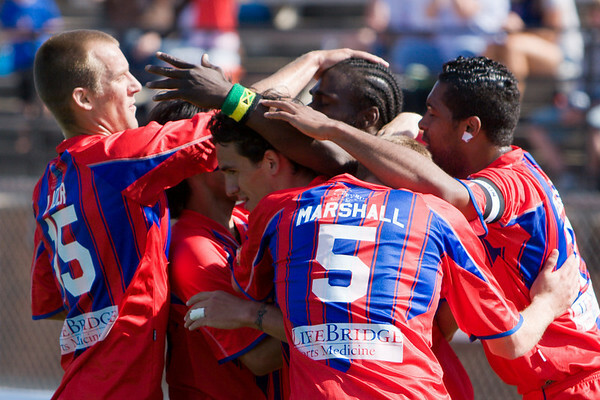 Result: Crystal Palace FC USA 2, Richmond Kickers 0. Goals scored by Gary Brooks and Val Teixeira. Gary Brooks is mobbed by his teammates after opening the scoring.